Austin will perform from 12:30 to 1:30 at this get-out-the-vote party hosted by the League of Women Voters of the Space Coast. The party is from 11:00am until 2:00pm. The acoustic duo Minimum Wake will take the stage from 11:15 to 12:15. Kiwanis Island Park is an early voting location for all Brevard county registered voters. 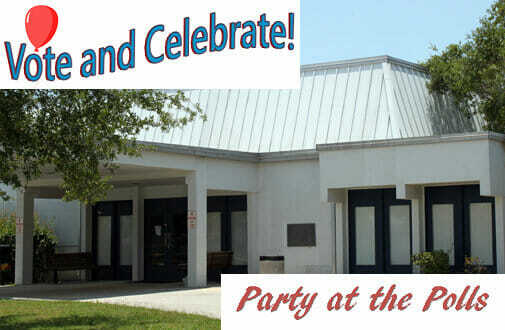 The PARTY will be in the Karen Stallard-Rood Community Building which is on your immediate left as you enter the park. The best parking is just beyond the building next to the playground. The POLLS will be in the main park building beyond the tennis courts on your right. Come on out and enjoy the music, food and drinks, face painting and more, on this last day of early voting!